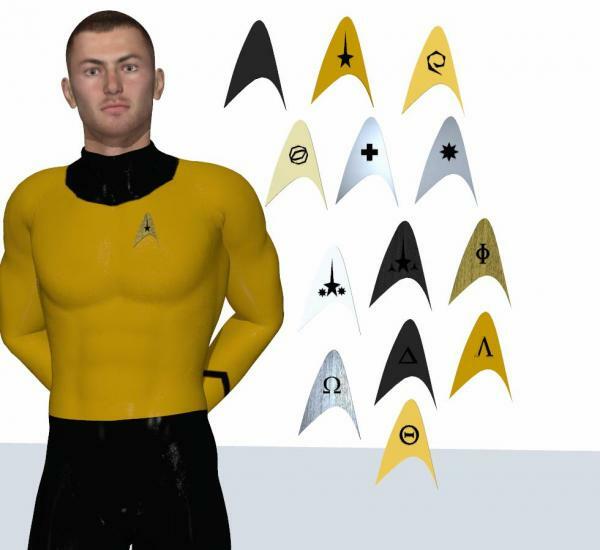 Included here is ComBadge props which I had created with primatives to support multiple (13)Star Trek division logos. Included a multiple material settings to make into a metal combadge or a Division log as per ST:TOS. For M4 and V4, but can be re-parented to anyone. Objs are provided. I offer this set as is. Thank you for downloading these props. I hope you enjoy them.